The updated death toll has reached 173. In the state there are about 223 thousand displaced persons; 80% of the territory has no electricity; the winds have reached up to 60 km / h. Msgr. Mascarenhas calls for an analysis of the causes of the flood: "Often the destruction of the environment is the work of man". 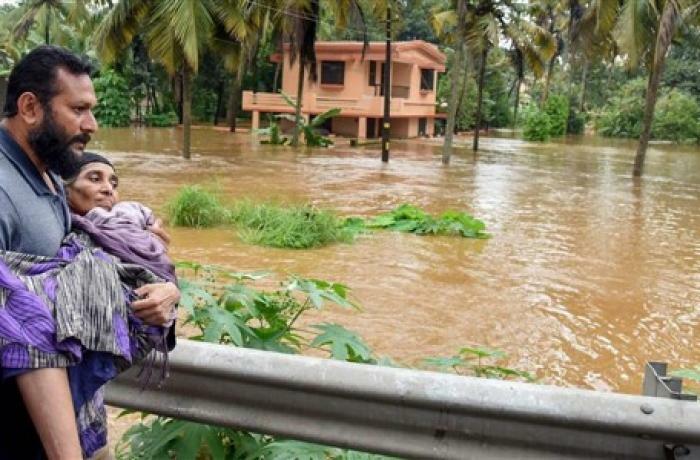 Thiruvananthapuram (AsiaNews) - The Indian Bishops' Conference (CBCI) joins the suffering of the families of the victims of the flood in Kerala and prays for the souls of the dead and for the survivors. It also "appreciates the timely and efficient recovery work undertaken by local and state authorities, as well as the strong and immediate support provided by the Union government", reads a note released by Msgr. Theodore Mascarenhas, general secretary of the Cbci. On behalf of all the Indian bishops, he "shares the anguish of the people afflicted by this enormous natural disaster". He later adds: "The solidarity manifested and the help being provided cutting across political divides and religious or class belongingness is exemplary.". Meanwhile, the toll of the catastrophe that has hit the southern coast of India continues to rise. Official sources of the State Disaster Management Authority (Sdma) report that the number of victims of the monsoon has reached 173. In the 14 districts of Kerala, about 223 thousand displaced persons are calculated, forced to abandon damaged homes and to seek shelter in makeshift camps. Yesterday evening premier Narendra Modi arrived at the scene of the disaster and flew over the flooded areas. The violent rains have flooded hundreds of villages, washed away by the fury of the waters; about 10 thousand kilometers of roads and thousands of houses have been razed to the ground; almost 80% of the state is without electricity, since the Kerala State Electricity Board, (Kseb) has suspended supply in flooded streets and buildings. Yesterday in some areas the winds reached up to 60 km / h and 41 rivers (out of a total of 44) exceeded the alert level. To ease the pressure of the flow, the authorities have ordered the opening of five more dams, reaching a total of 39 water reserves. Meanwhile, the Chief Minister Pinarayi Vijayan has asked the central government for immediate aid of 12.2 billion rupees (152.4 million euros), including the 8.2 billion rupees already allocated (102.4 million euros). In addition to the administration's efforts, Msgr. Mascarenhas emphasizes that "The Catholic Church is already out in the field through her Wing of Mercy and Charity, Caritas India. Our local Bishops, Clergy, Religious Sisters and lay volunteers are also involved in relief and succour operations. In different dioceses, Church authorities have opened church schools and other institutions to the displaced people, and are distributing food, clothes and other relief materials. Many parishes, schools and other Church institutions have become the centres of aid and assistance to people in need". The secretary of the bishops launches an appeal "to all people of good will in the country and everywhere to come to the aid of our suffering brothers". He also invites "to analyze the causes of the flood, to adopt urgent solutions to preserve the environment and prevent further ecological damage to our common home, Mother Earth". Finally he concludes with a reflection: "Often destruction is the work of human action".